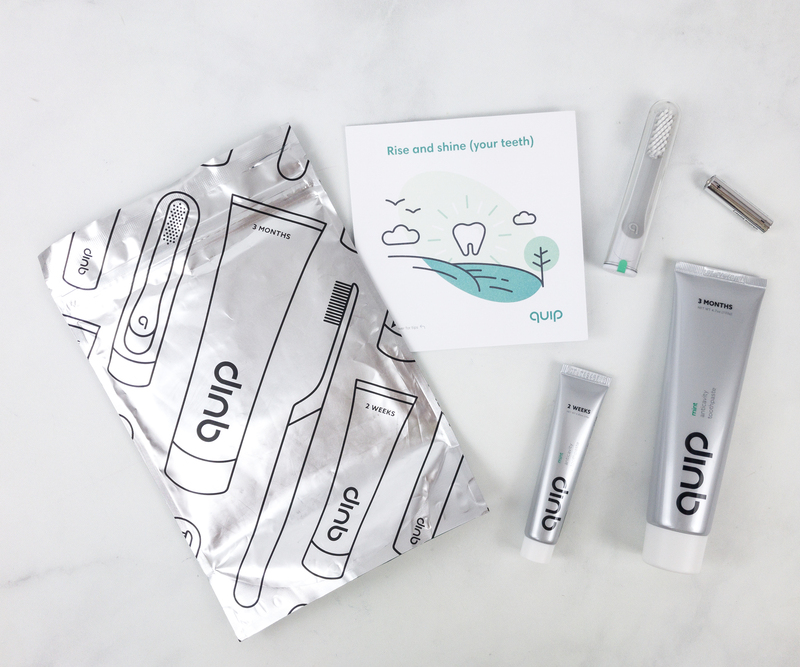 Quip Refill Pack includes SLS-free toothpaste, a toothbrush head, and a battery. See the review! 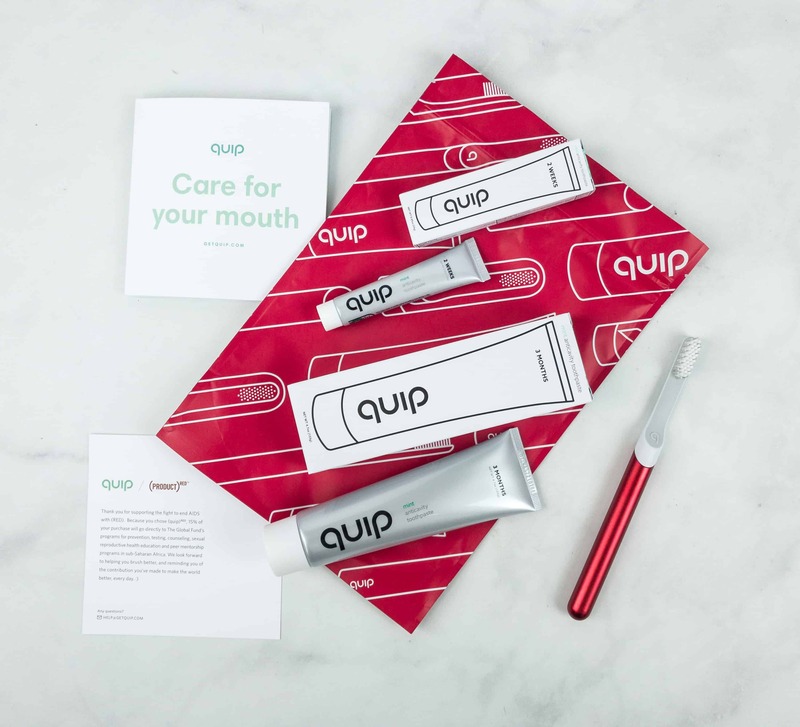 See the review of Quip’s slim electronic toothbrush + subscription plus take a look at their special edition Product RED version!